We had such a wonderful time celebrating with Tracy + Michael on their recent wedding day at the beautiful Don CeSar Resort in St. Petersburg. This sweet couple was such a pleasure to get to know, and we were so happy for them as they celebrated their love with their friends and family on their wedding day! Our Master Photographer Amy was there to spend the day with this sweet couple and to document all the special moments of their day, and she did such a spectacular job! We love all the amazing images that she captured, and we’re so happy to share a few of our favorites here! We loved getting to spend time with Tracy and her family as they got ready for the big day! Tracy looked absolutely amazing in her stunning wedding gown – we loved all the amazing detail in her dress! 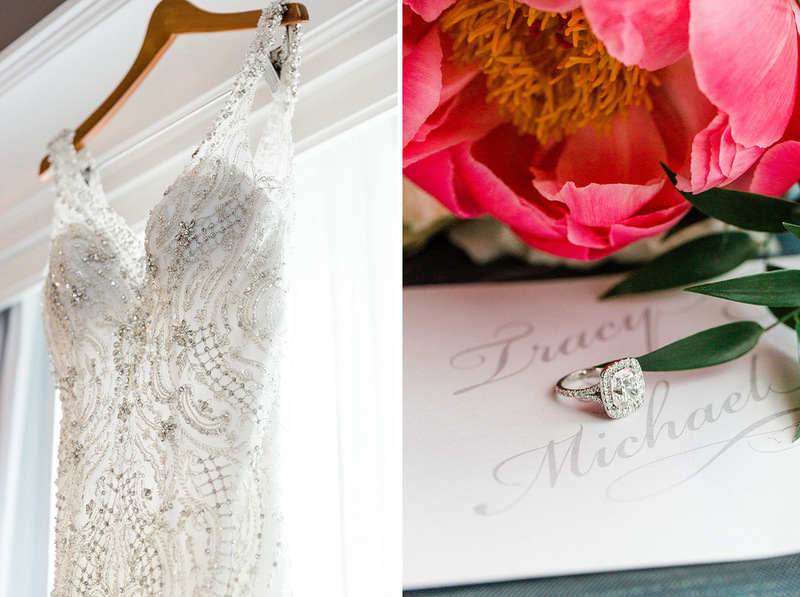 Tracy + Michael were married in a beautiful outdoor ceremony overlooking the beach from the Don CeSar. It was a really touching ceremony filled with Tracy + Michael’s family who were all there to support them on this special day, and we were so honored to be there to witness them exchange their vows! We love how totally happy and in love Tracy + Michael look as they walked away from the altar! 🙂 We were able to take a few quiet minutes with Tracy + Michael immediately after their wedding ceremony to take some portraits of the two of them as husband and wife! 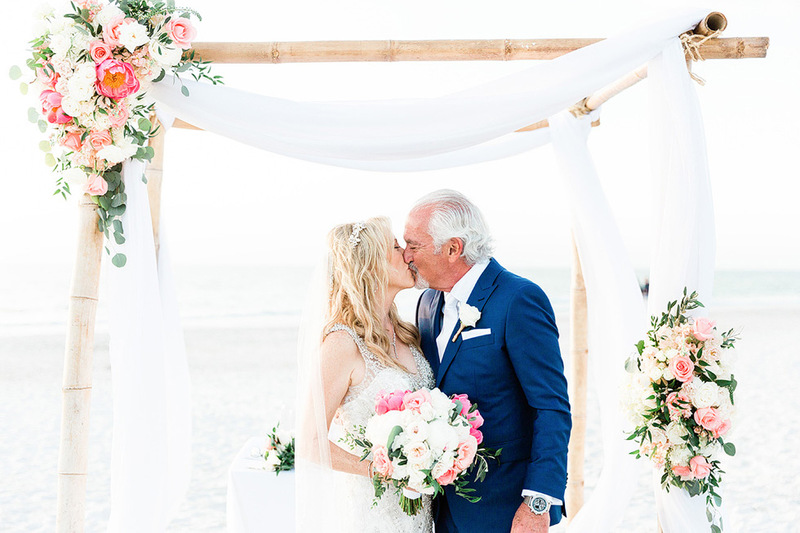 The beach was gorgeous that day, and we love these stunning photos that Amy captured of the two one them! Tracy + Michael held their reception at the Don CeSar, and it was the perfect space for their celebration! We loved all the beautiful bright pops of color that they used throughout the room! This was such a fun reception to be a part of, and it was clear that Tracy + Michael’s family and friends had all come to enthusiastically support them in their new marriage! Congratulations on your wedding Tracy + Michael! We were so honored to be a part of your special day, and we wish you many years of happiness ahead!